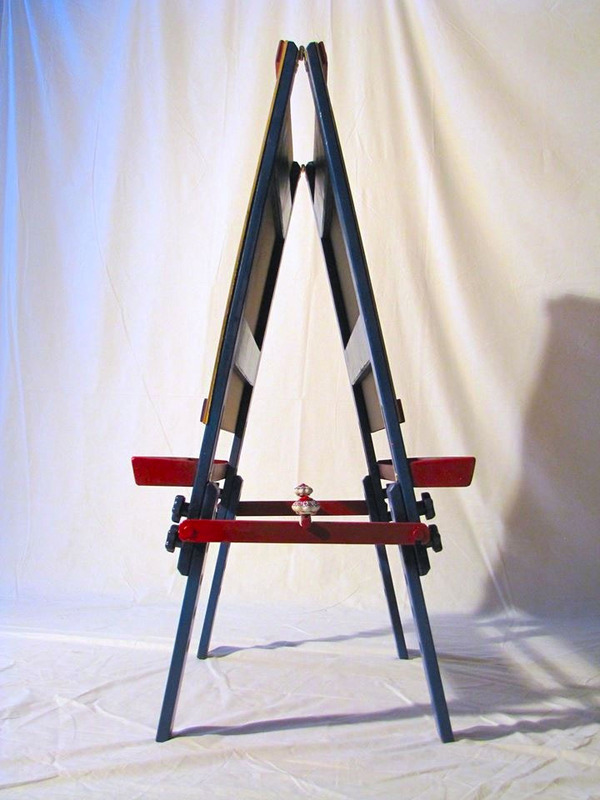 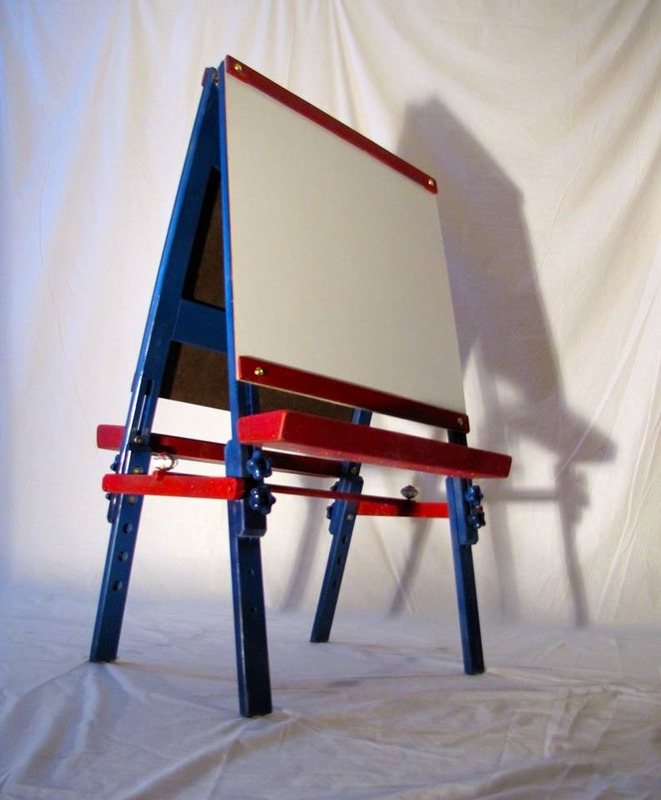 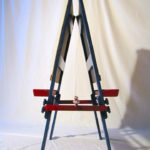 Slightly more formal children’s easel, either American cherry (add $100) or primed and painted. 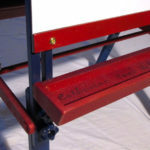 Wooden storage bins for supplies and paper roll feeder system. 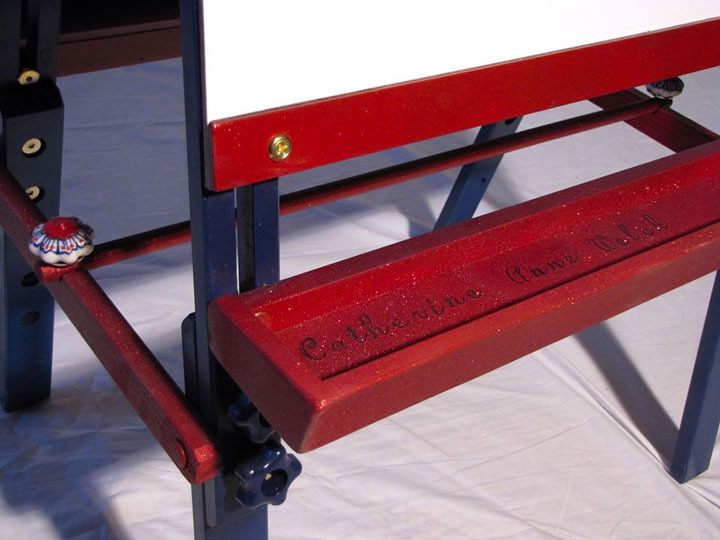 Includes premium knobs and hardware. 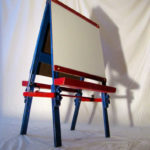 Magnetic chalkboard on one side, dry-erase board on other, in addition to paper that is provided for painting.Wood color and dimensions customizable.